Another week, another couple of apps you can grab for next to free from the Play Store and this time we're talking about edjing PRO and Rayman Jungle Run. 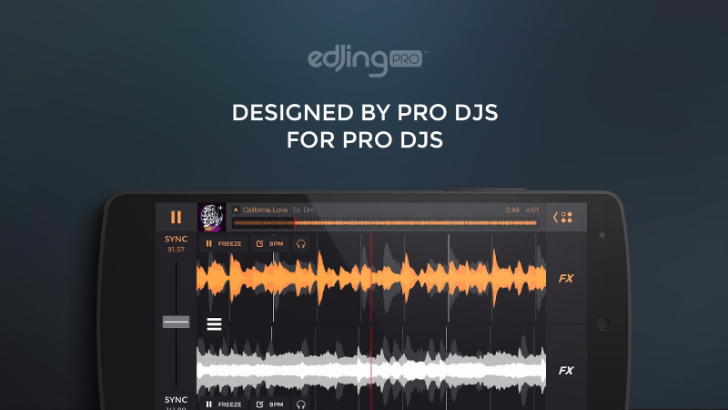 edjing PRO is a professional DJ app with plenty of features to create your perfect mix. Use your own media library, SoundCloud, Deezer, or Vimeo to find the tunes, prepare sets, match bpms, queue songs, and more. It usually costs $4.99 and doesn't have any other IAPs. Rayman Jungle Run is a classic adventure platformer where you jump over obstacles, dodge monsters and traps, and progress through the levels while collecting coins. It's priced at $2.99 with a few $1.99 IAP items. Both are now down to EUR 0.10 in France, Italy, Spain, and Germany, GBP 0.10 in the UK, RUB 10 in Russia, and AUD 0.20 in Australia. They might be discounted in other countries too, but they don't seem to be on sale in the US as of the time of writing. There's no harm in trying your luck though.